The easiest and most beautiful way to highlight your reception! 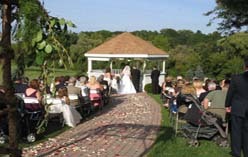 Pick the colors that match or compliment your wedding colors, and customize the layout to your venue's floor plan. The result is dramatic beauty! 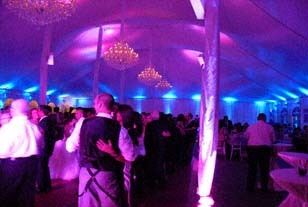 Single color lights, or color changing lights that slowly fade between the colors of your choice. See what these lights look like in action! 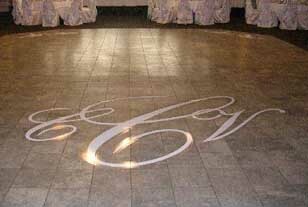 Display an elegant personalized monogram on your dance floor! 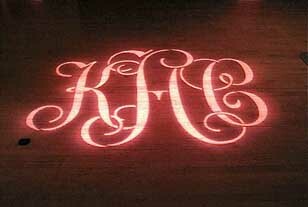 An elegant and fun option that we offer is the Dance Floor Monogram or “Your Name in Lights”. 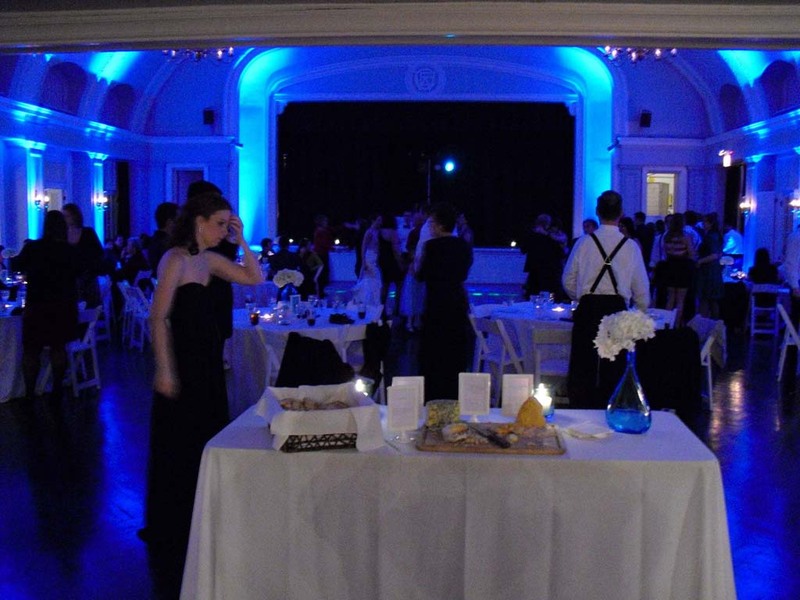 Normally the dance floor is the largest space during a wedding reception or corporate party that is not decorated. 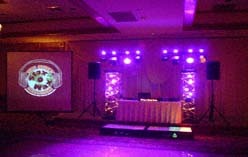 You can add your special touch or corporate logo to the dance floor with “Your Name in Lights”. Photo montage creation and presentation! The most beautiful photo montage made just for you!